a) registered companies from the European Union with current European VAT number (vies)- If you are a company from the European Union and have a valid European VAT number – enter your vat number in the next part of the order (in cart – in contact information). If the European vat number is correct, the purchase price will be automatically reduced by the tax value, or send your VAT number, billing information and request to: office@barcase.eu , we will prepare a special order for you – excluding tax . b) individuals and companies outside the European Union- If you are from a non-EU country, send billing information and request to: office@barcase.eu,we will prepare a special order for you – excluding tax. Exclusive Flair Bar has the same structure as Mobile Flair Bar except that it has exclusive white quilted leather (black or white) padding – both at the front and sides. The very bottom part of the quilted front has been additionally enriched with a protective stainless steel frame! 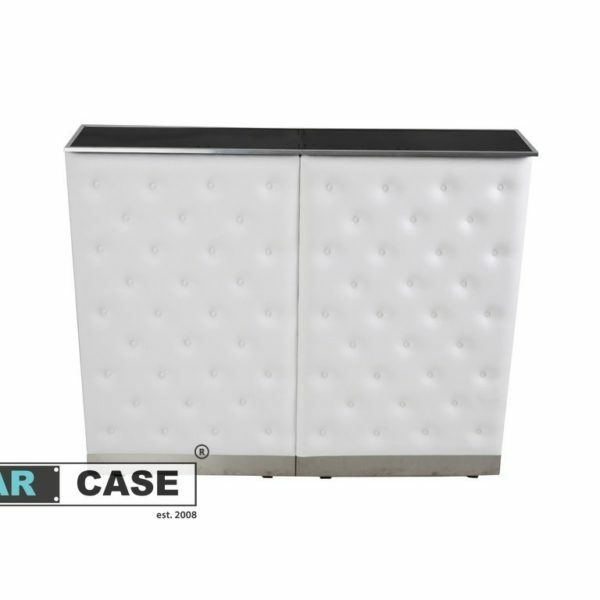 It protects the front against damage caused by guests who approach the bar.The quilted front has a special boltless assembly system! Front and sides can be set up in 30 seconds!!! 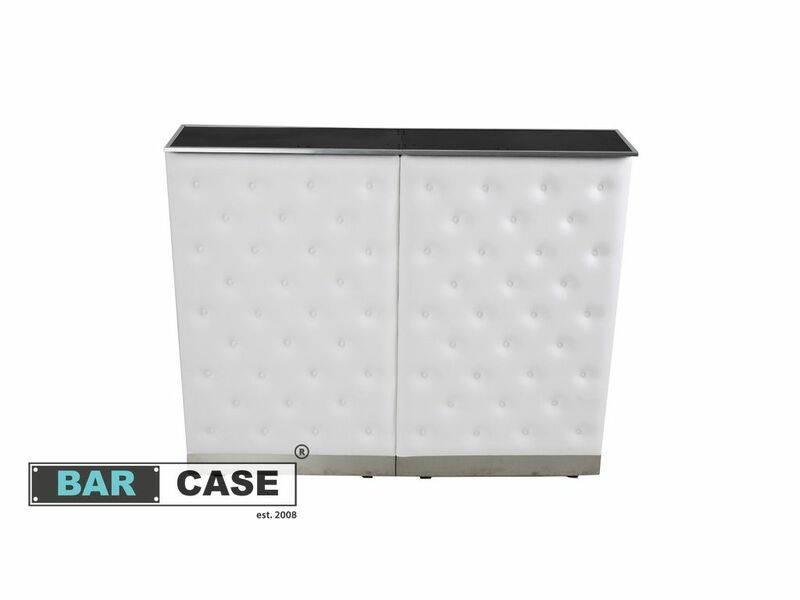 Quilted bar padding does not fit in in the case – it has a separate protective cover with a comfortable handle. 5 star review fits to this product. Professional looks. Great materials used to made this bar.